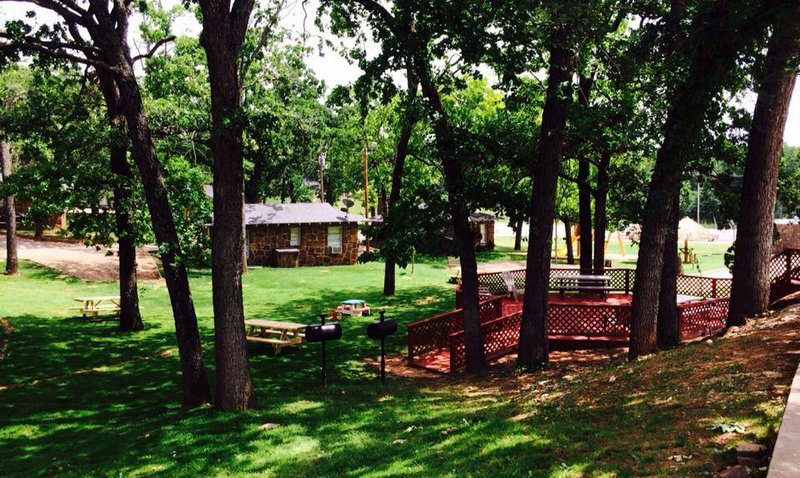 Lake Texoma Lodge & Resort in Mead is Lake Texoma's premier resort destination. 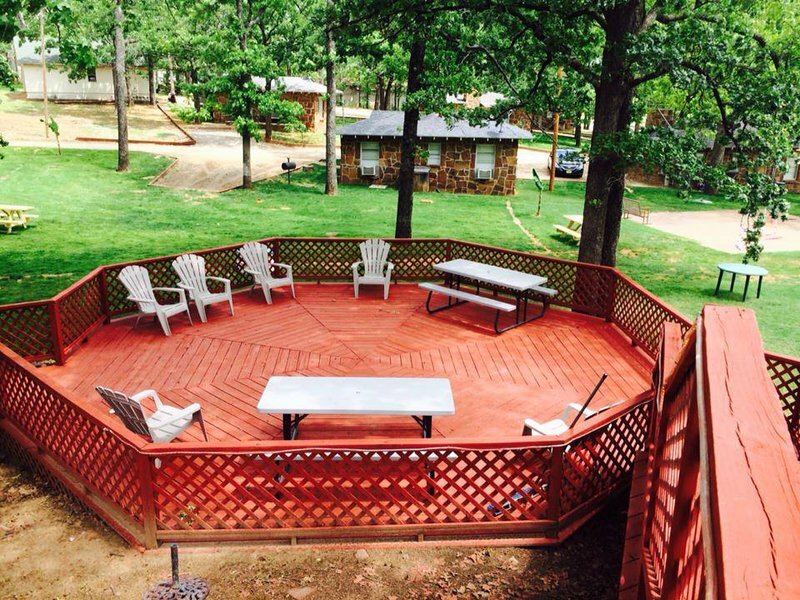 Designed to be a fun and safe place for families and those looking for a lake getaway, there are a wide variety of lodging options on the property. With plenty to do, it is the perfect place for a weekend trip or an extended vacation. The central area is Tiki-themed, surrounded by Banana Trees with a tropical feeling. Relax by the outdoor pool in the summer and grab a drink from the outside Tiki bar. There are plenty of pavilions so you can get out of the sun and have a bite to eat. Banana trees around the area provide additional shade. 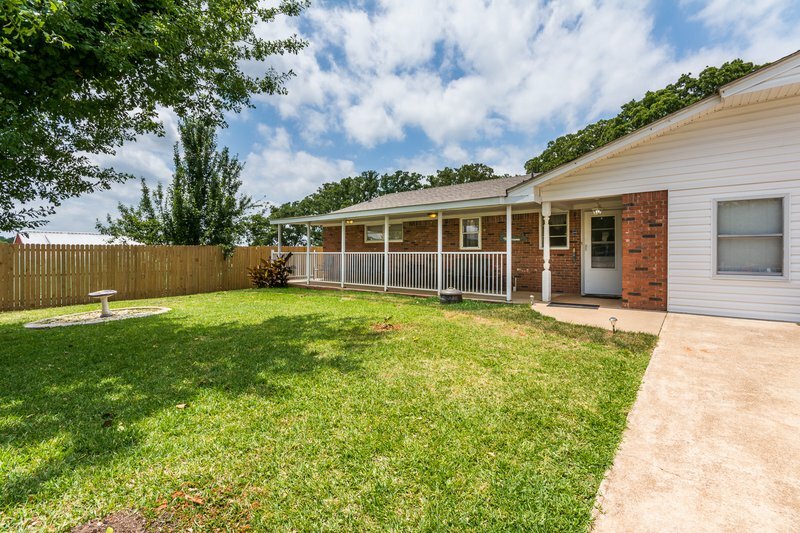 There is a hot tub as well as basketball courts, picnic areas, outdoor grills and a playground that kids will love. The 12 cabins and eight-room motel on site are a combination of mini suites with queen or double beds, standard suites with queen or double beds and deluxe suites with one or two bedrooms. The deluxe suites are also equipped with kitchens and cookware. The spacious cabins provide a bit of privacy and are within walking distance to everything else on the resort property. There is also the Grand Villa and the Bunkhouse that is available to rent for extended periods of time. 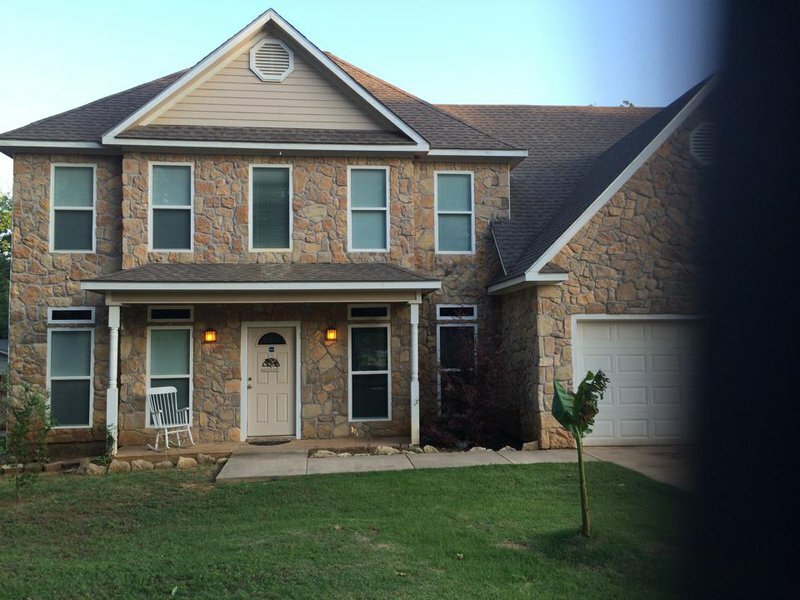 This vacation rental has a full kitchen with a breakfast bar, a Jacuzzi tub in the master bedroom and plenty of space for a large group. The dining room can comfortably fit a house full of people, and when you book this property for five nights you'll receive two nights free. 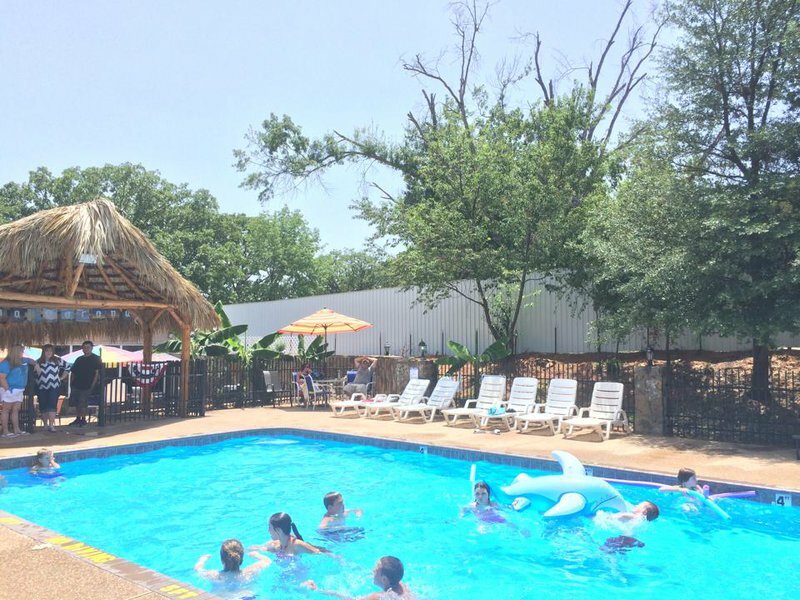 The on-site restaurant, Sneaky Tiki Restaurant and Brewery at Lake Texoma offers great food, a full bar and live music. In addition to the standard fare from the grill at Sneaky Tiki, be sure and order up some Ruby Red shrimp, a rare, deep water delight that tastes a bit like lobster with a twist of crab. Pair up that shrimp with an ice cold beer from the Sneaky Tiki Brewery, the only Chickasaw-owned brewery in Chickasaw Country. There's always something going on at this relaxed dining spot by the lodge's pool. Come enjoy local bands offering great live entertainment on the weekends. Don't miss your favorite sports teams while on vacation and catch the game on their flat screen TVs. After-hour check-in and pre-check in over the phone is available in advance. Call or email for instructions. Rooms and cabins: $59-189 per night. Grand Mansion and Bunkhouse (sleeps 12): $499 per night. While every effort has been made to ensure the accuracy of the pricing listed above, prices are subject to change without notice.